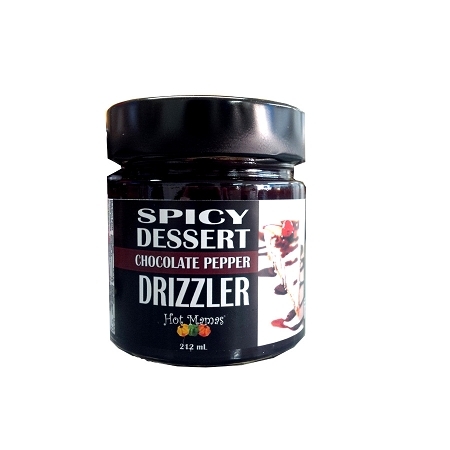 Our newest decadent spicy drizzle is made with scotch bonnet peppers and all natural processed cocoa. Its not too hot..just a medium heat and pourable over your favourite desserts...ice cream, cheese cake, whip cream, mousse, as well as a dipping sauce for fresh strawberries, bananas and other fruits. Its sooo good its hard not to eat it just right out of the bottle!